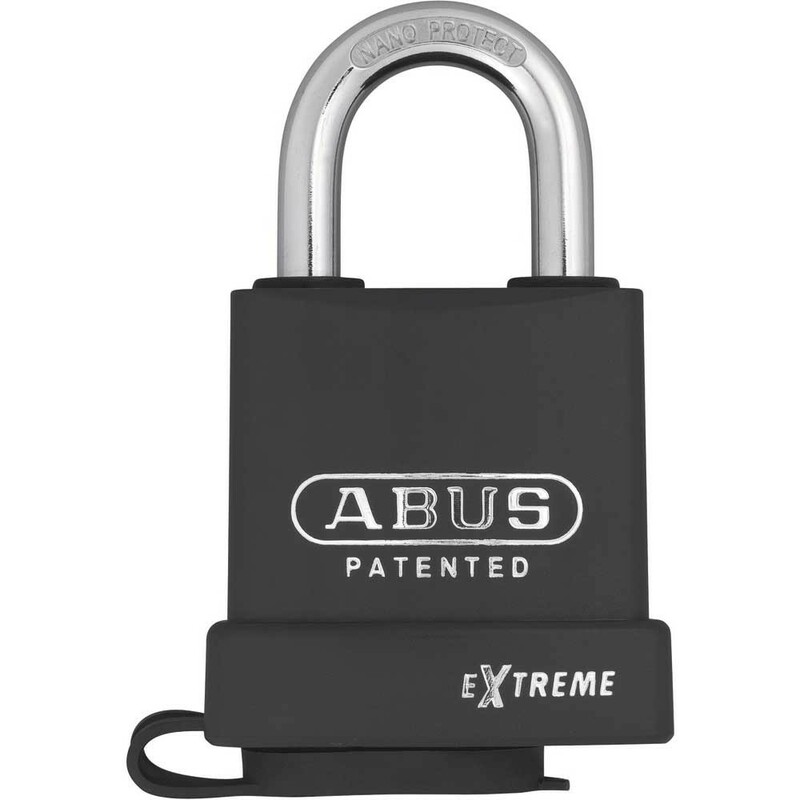 Abus 83WP Extreme weatherproof open shackle heavy-duty fully re-keyable through hardened steel alloy padlock, with a ball bearing locking mechanism for extra security, has a tough through hardened steel alloy shackle as standard with NanoProtect Chrome Plating. 6 pin tumbler cylinder with rust free components with anti-pick mushroom pins, resists picking. Can be adjusted to operate key retaining or None key retaining, automatic locking or key to lock. The 83 series range of padlocks offer a medium to high level of security, with the ability to offer various levels of security within one keying system and is suitable for internal or external use. 'NanoProtect' Chrome Plating, Hardened steel & through hardened steel alloy shackles get the most effective protection available, where smallest nano particles close the smallest gaps found in the normal chrome plating 'making rusty shackles a thing of the past'. 1,000 hours salt bath test, the equivalent of 40 years in a harsh environment proves the durability of the new 'NanoProtect' process.